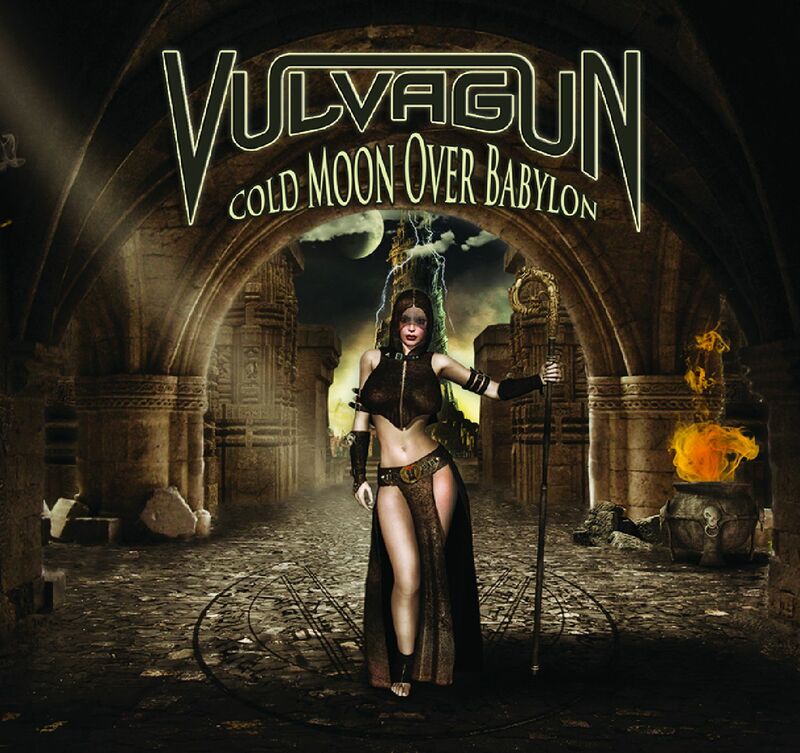 'Cold Moon Over Babylon' is the debut album from Australian Metal band Vulvagun. Cold Moon Over Babylon has a central theme based on the mythical Lesser Key of Solomon, an ancient text that was later interpreted and used by renaissance scholars to warn of the dangers of demon worship and associated dark arts. The fabled Hammer of Witches is an interpretive subtext and extrapolation of the Key. Within the music and lyrics of Cold Moon Over Babylon, these themes are explored and expanded to include the idea that many of our fears and modern superstitions are a result of the doors to the underworld being opened in the distant past; of the detailed secrets now lost and the struggle to keep our demons, both real and imagined, at arms length. Cold Moon Over Babylon was recorded at Orbit Studios near Melbourne in Australia and was written, produced and recorded by Wayne Dwyer. “Cold Moon Over Babylon” is destined to be a metal classic; from the opening note, the album is fantastically rich both musically and lyrically. It has a central theme based on the mythical Lesser Key of Solomon, an ancient text that was later interpreted and used by renaissance scholars to warn of the dangers of demon worship and associated dark arts. The fabled Hammer of Witches is an interpretive subtext and extrapolation of the Key. Within the music and lyrics of “Cold Moon Over Babylon”, these themes are explored and expanded to include the idea that many of our fears and modern superstitions are a result of the doors to the underworld being opened in the distant past; of the detailed secrets now lost and the struggle to keep our demons, both real and imagined, at arms length."